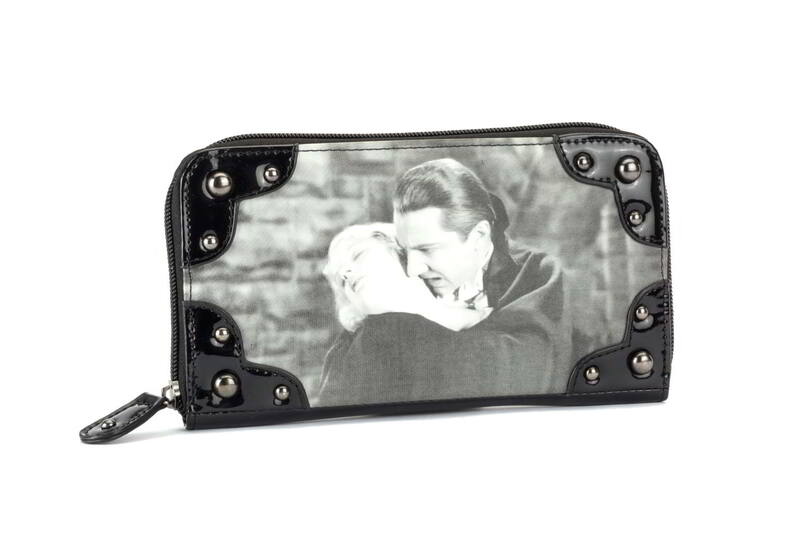 Rock Rebel's Dracula wallet features the image of Bela Lugosi as Dracula about to feast off the innocent Mina Harker in the classic 1931 horror film. It is officially licensed by Universal Pictures and has a full zip closure. Sides are vinyl with rounded gun metal studs. Copyright © 2017 Jackdaw Landing. All Rights Reserved.